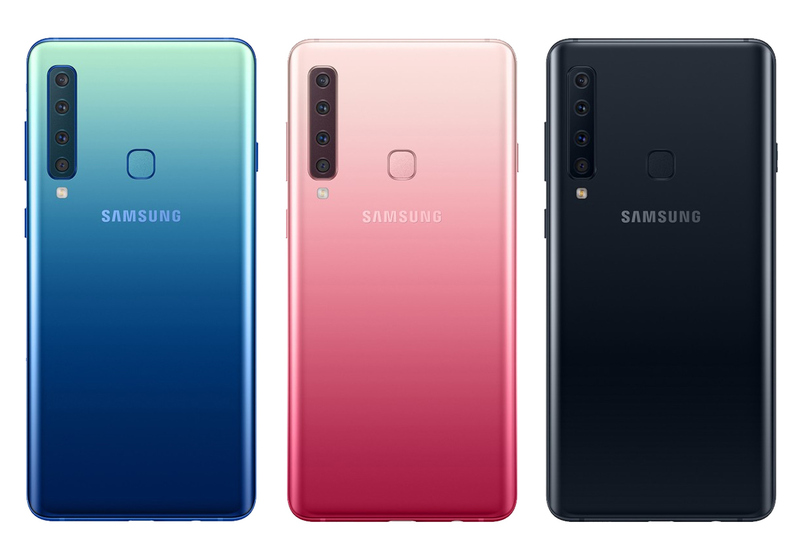 Korean Giant Samsung Mobile has just announced a new high-end Android handset, which has at least one amazing feature that makes it a landmark model amongst other Galaxy releases through the years. 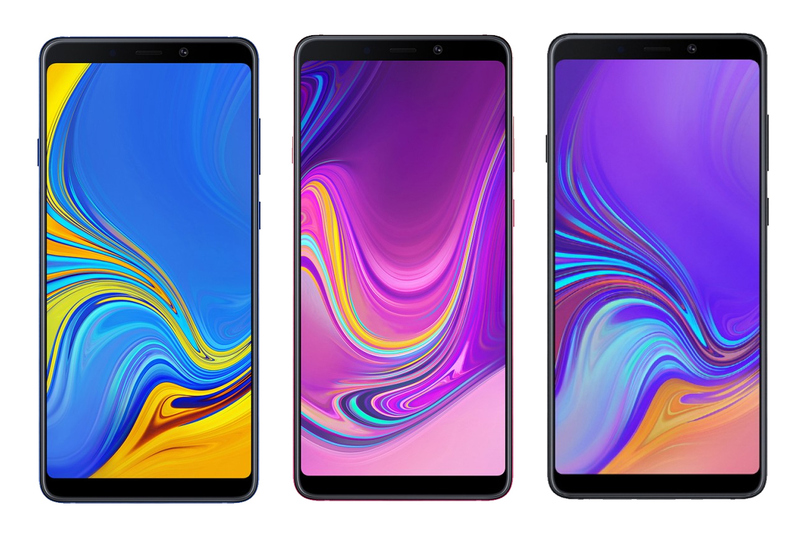 The all-new Samsung Galaxy A9 2018 - which was formally unveiled via an event in Kuala Lumpur, Malaysia - is the world's first smartphone to have a remarkable four rear camera module. 3. 10 MegaPixel Telephoto Camera with f/2.4 Aperture enabling 2X Lossless Zoom capability so you can get a better view of the subject without moving closer to it. For me, this unique camera module makes Samsung Galaxy A9 2018 the most versatile cameraphone that Samsung has released so far. Obviously, these four snappers represent the Galaxy A9 2018's main selling point. However, this smartphone has other cool features to offer. In front, this model flaunts a clear and brilliant 6.3-inch FullHD+ SuperAMOLED Infinity Display that should be able to deliver an enjoyable viewing experience whether you are playing 3D games, browsing photos on social media, watching movies on Netflix, or reading your favorite blogs. Oh, and it doesn't have a notch, which is great for those who are not fond of that display element. Above the screen, there's a 24 MegaPixel f/2.0 front cam, which is powered by the company's own Beauty Mode for Selfies. Its wide aperture should allow you to use this cam to take bright and crisp self-portraits in low light settings like in bars or clubs with your barkada. Under the hood, the Galaxy A9 2018 is heavily customized Android 8.1 Oreo OS with a 14nm Octa-Core Qualcomm Snapdragon 660 chipset with AI Engine that gives Scene Recognition capability to the cameras, making them smarter. The processor is complemented by either 6GB or 8GB of RAM depending on the variant and 128GB of internal storage that can be augmented using the dedicated microSD card slot. The handset has a non-removable 3,800 mAh non-removable Li-Ion battery pack, which supports fast-charging through the phone's USB Type C port. For security and privacy, this model has a Fingerprint Scanner at the back and Facial Recognition feature that's integrated with the front-facing camera. Both of which add a veritable layer of protection for the user against those who want to peer into private content without consent. 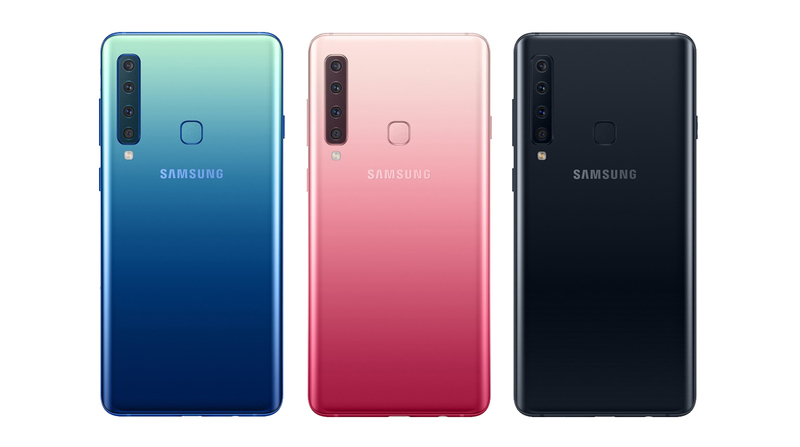 Design-wise, Samsung Galaxy A9 2018 has a luxurious glass-metal-glass construction -- and its Lemonade Blue and Bubblegum Pink color variants have a beautiful gradient color finish that's reminiscent of what we see on Huawei Nova 3i, OPPO F9, and Vivo V11 midrange Android smartphones. Samsung Mobile Philippines has yet to disclose the official SRP and release of this stunning new handset. 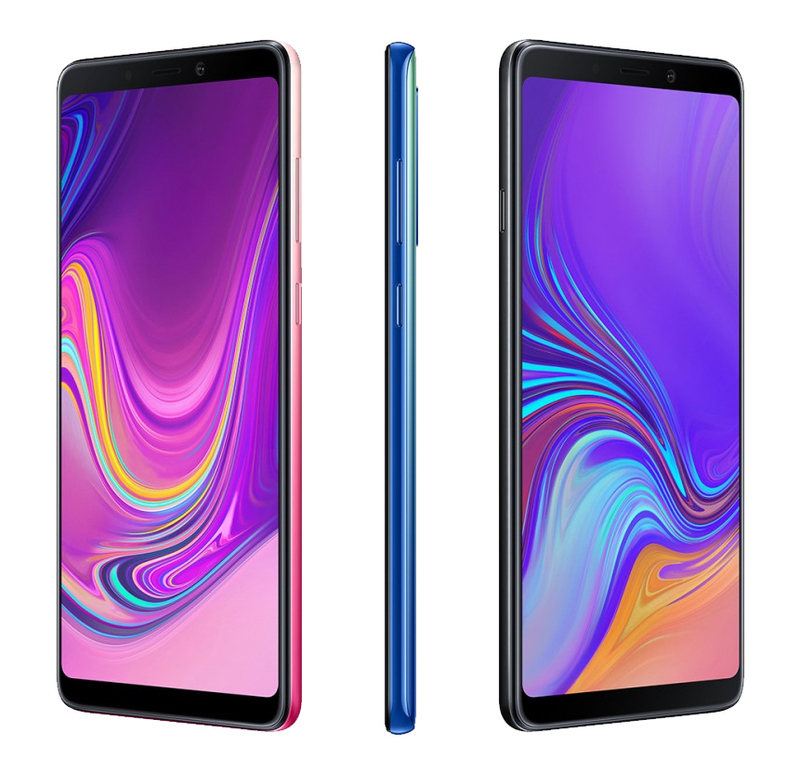 However, considering the current price of the Samsung Galaxy A8 Plus in the local market, I would put my price guesstimate for the Samsung Galaxy A9 2018 at around PHP 33,000 to PHP 35,000 when it lands on our shores a few weeks from now.